Oil change? Check. Filter change and replacement? Check. Tire Rotation and balance? Rotating and balancing the tires in your Nissan is a very important part of every scheduled maintenance. By helping to prolong the lifetime of your tires, the simple act of tire rotations and balances help save you money by avoiding the costs associated with having to purchase a whole new set. Not only that, but it does help to keep you comfortable and safe in your Nissan. 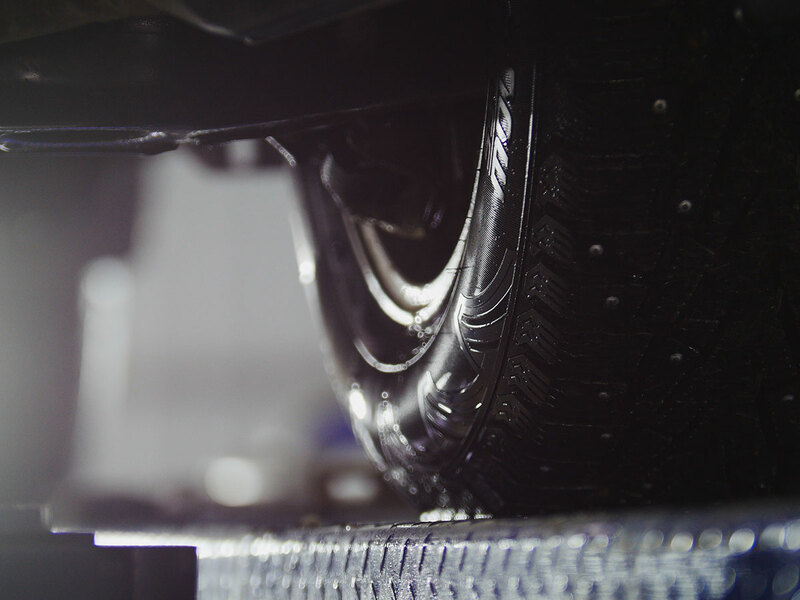 What is a Tire Rotation & Balance Service? Regular tire rotations help balance out the tread wear of your tires. By rotating your tires from front to back, you are making sure you are getting the most out of your set of tires. Since your front tires are under considerably more stress than your rear tires due to having to guide your Nissan through turns and lane changes, they invariably wear out more quickly. What’s even better is that the Certified Nissan Technicians at Lang Nissan of Mission Bay Service Center will be able to tell based on the tread wear on your tires if they need to go one step further and rotate your tires front to back in an X formation so you can get the most out of your current set of tires. And by pairing this service with a tire balance, you are just adding on the life of your tires since tire balances help isolate improperly weighted tires that can cause vibrations when you get up the highway speeds. Why Should I have my Tire Rotation & Balance Service Done at Lang Nissan of Mission Bay? While your vehicle is here getting the Nissan Tire Rotation & Balance Service completed you can rest easy knowing that our Certified Nissan Technicians only ever use Genuine Nissan OEM Parts. While they remove your tires as part of any rotation, your tires will also be hooked up to a machine specifically designed to pinpoint uneven tire weight. From there, we will be able to add tire weights to make sure everything is properly balanced. Finally, your newly balanced tires will be reinstalled in the proper rotation formation, thus ensuring maximum safety and efficiency! Here at Lang Nissan of Mission Bay, we take pride in being the only independently owned and operated Nissan store in San Diego. With our comfortable customer lounge, fully stocked vending machines and knowledgeable, friendly staff, we look forward to completing your Scheduled Service with Lang Nissan!